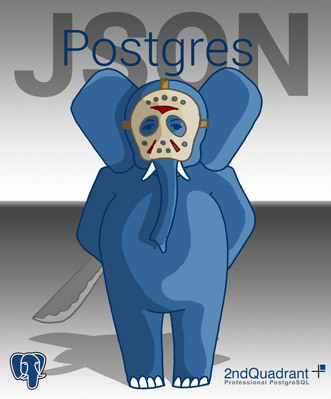 The introduction of the JSONB data type in PostgreSQL, definitely makes the “NoSQL” side of this relational DBMS come out: this introduction meets the requirements of all those who prefer a data structure in a “key-value” array, dictionary style (widely used in the field of development) and, at the same time, ensures all the advantages of a relational database. It is anyway necessary to point out that JSONB data is compatible with all functions introduced for the JSON data. The effects of this possibility of indexing the JSONB type is translated into a better availability of data to be read, thus allowing an efficient access to the whole content of a JSONB field. This makes it possible to efficiently use PostgreSQL in order to analyse data which does not have a predefined scheme, by moving it closer to the “NoSQL” world. In this regard, community member Thom Brown conducted some tests showing how an increase in reading performances (and a more reduced space occupied by indexes) was found, as compared to a JSON field, thus reaching reading performances even higher than those of typically NoSQL DBMS, such as MongoDB.